Connectivity allowed with peripheral ports such as HDMI, USB, OPS, VGA, etc. It’s smart, competent, reliable and most important of all, interactive! 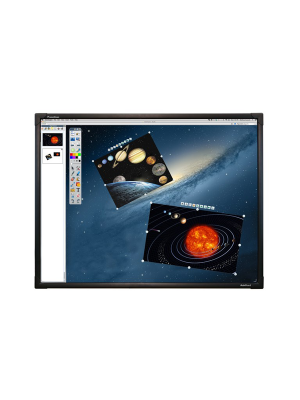 The Promethean AP6-65W-4K ActivPanel V6 65” interactive touchscreen display with Promethean OPS-M is a medium for collaboration between teachers and students. It features classroom lesson delivery software for effective lecture delivery by allowing teachers to use the required tools. The InGlass™ technology provides the most natural writing experience. 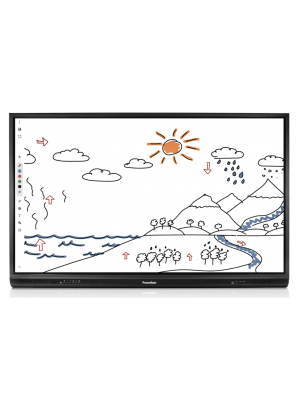 Touchscreens act as a catalyst for advanced learning and development that is why the AP6-65W-4K provides users with the ‘Whiteboard App’. This app does not require you to be tech savvy as it is easy to use and offers zoom/pinch navigation on a canvas that has unlimited workspace. 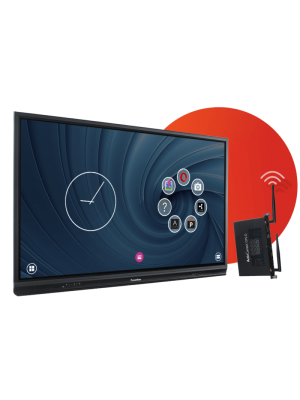 The interactive flat panel has the Android module with accessible design that is compatible with third party management software like Google G Suite, Radix Viso and AirWatch. 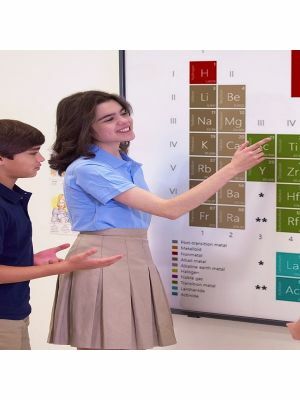 You will not be needing a separate sound system due to the already present speakers which are of 2 x 15 W.
The Promethean AP6-65W-4K ActivPanel V6 65” interactive touchscreen has a seamless display area of 56.3 x 31.7 inch with a brightness of 350 cd/m2, contrast ratio of 4000:1 and an ambient light sensor. Power requirements are between 100V - 240V AC with normal consumption of 160 W making it energy efficient. Further, if you are concerned that the interactive flat panel has quiet productivity or not? Then do not worry as it comes backed by ultra-quiet fanless design. 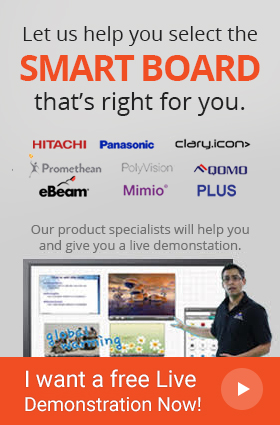 Therefore, finding all these display features in a single Promethean screen, is definitely worth to have. 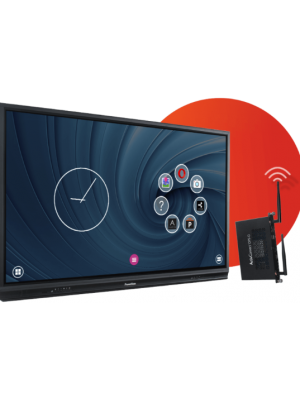 For an immersive and engaging experience, the Promethean AP6-65W-4K accommodates 10 coinciding touch points, enabling students and other participants to collaborate in groups with separate work spaces on the screen. This feature plays an important role in various classroom activities/projects and office presentations. Intel Core i5 Dual, 8 GB DDR4 RAM, 256 GB SSD, Wi-Fi 802.11 AC (2x2), 4K @ 60 Hz Two options are available: 1. Windows 10 IoT pre-installed; 2. No operating system installed. Both options also include an External Android (ActivConnect G) with pre-loaded software. Minimum order quantity required for both models. Three-Year Warranty (upgrade options available and vary by region). Q. Does the interactive screen Allow PDF files to be shared? Yes you can share them via Bluetooth and other external storage devices. Q. Will the screen capture images if inserted? Yes definitely AP6-65W-4K can perform this action efficiently. Q. Is the educational software included or we need to purchase it separately? The two softwares; ActivInspire & ClassFlow Professional are included with the purchase of AP6-65W-4K . Q. 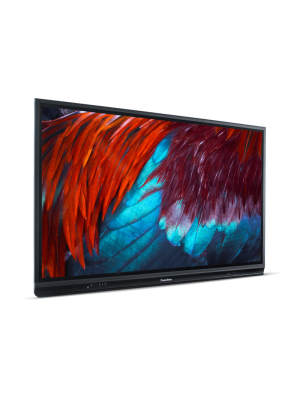 How can we mount the AP6-65W-4K interactive display? A proper installation guide is provided in the resources section so you can mount the AP6-70W screen with a step by step guide. Q. How many users can use the interactive touchscreen display simultaneously? A total of 10 users can use the screen as it offers 10 touch points.